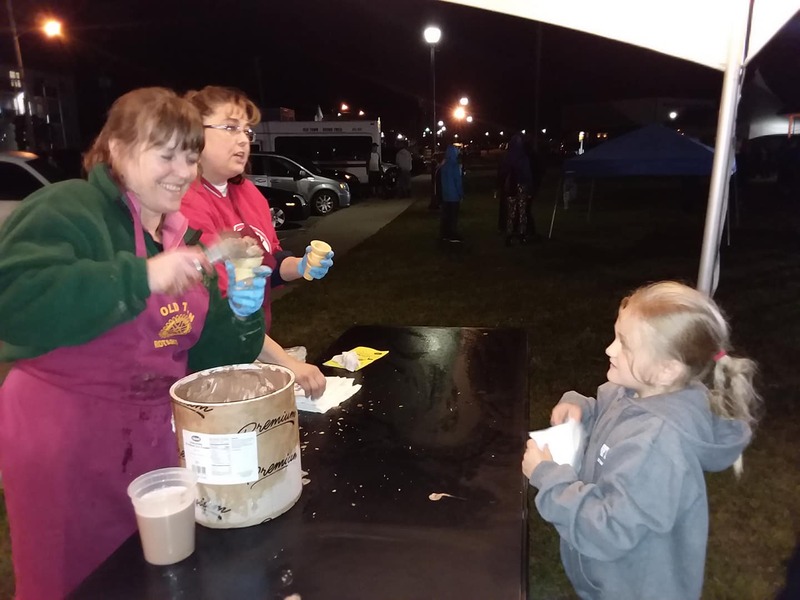 Scooping free ice cream Friday night at Riverfest. 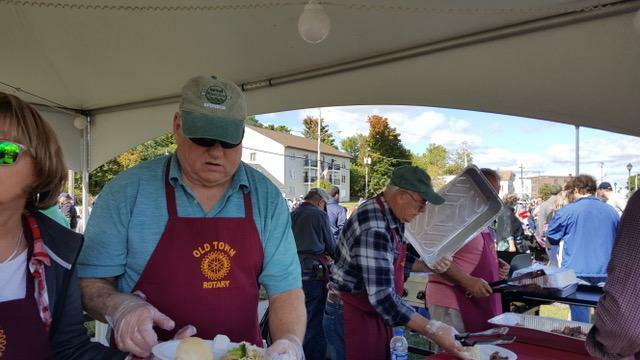 Old Town Rotarians participated in the city's Riverfest celebration September 28 and 29 with several different activities. 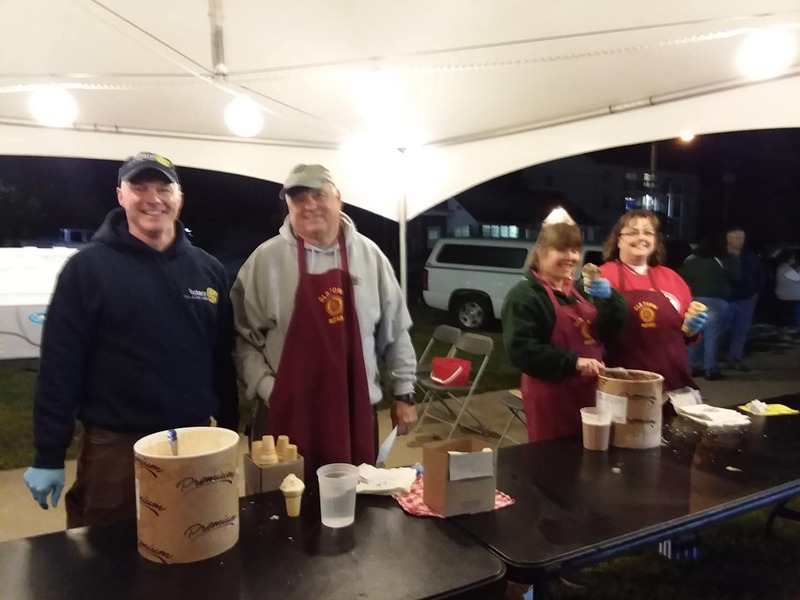 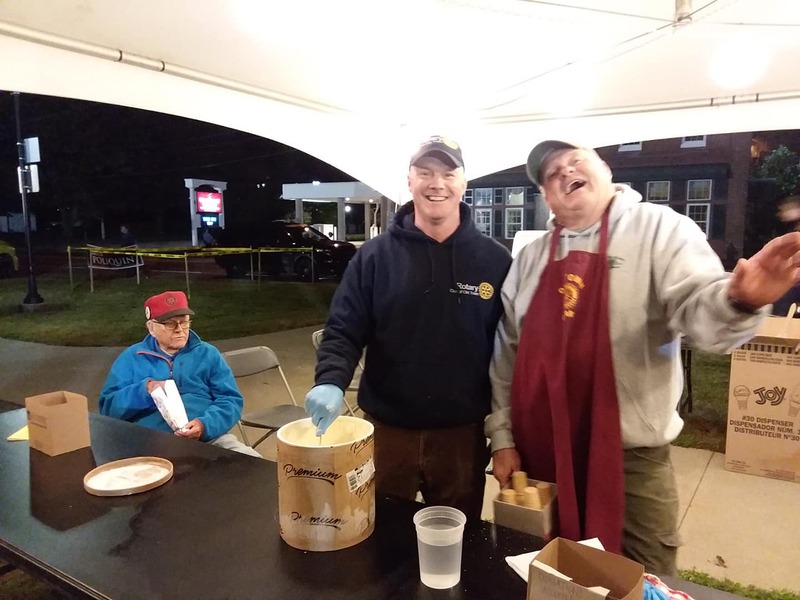 First, on Friday night (Sept. 28), club members scooped free ice cream into several hundred cones for Riverfest participants. 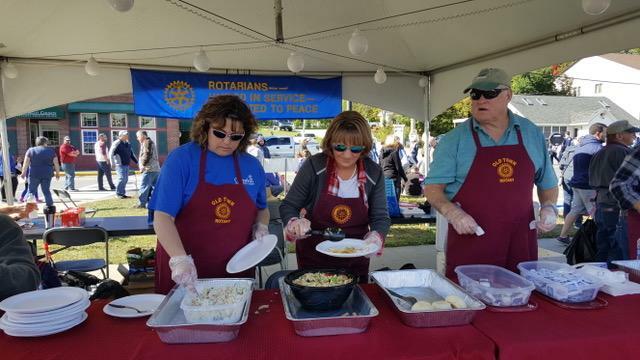 Second, on Saturday morning, a team of Rotarians marched in the parade and tossed candy to children along Stillwater Avenue and Main Street. 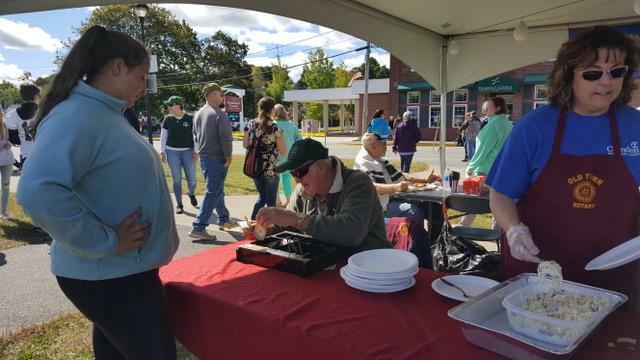 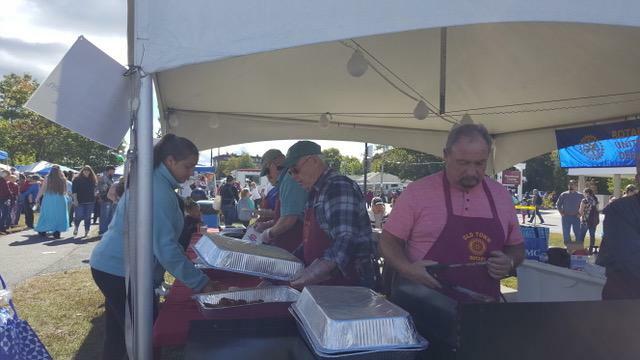 Third, after the parade, club members served chicken barbecue, selling out early in the afternoon. 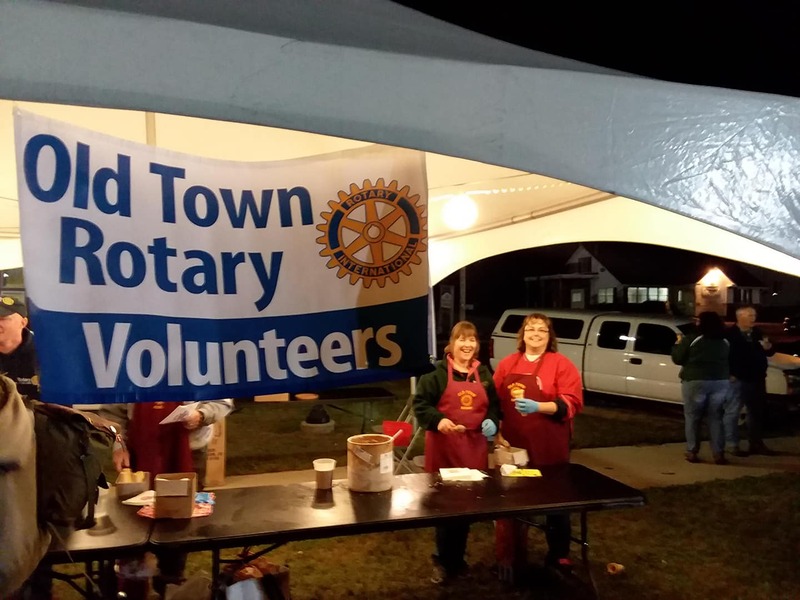 Linda Bryant organized the chicken barbecue with the assistance of a crew that gathered at the Bryant homestead Friday night to parboil the chicken.